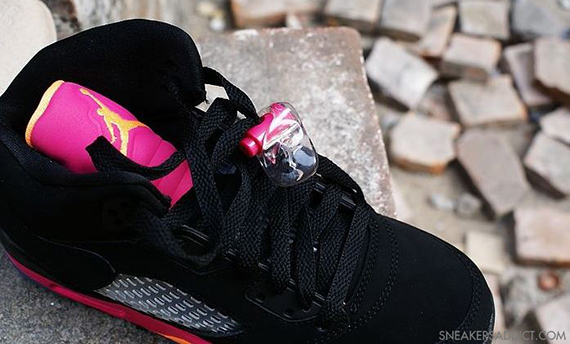 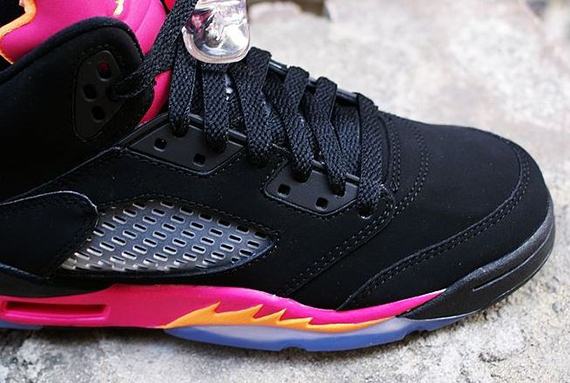 Helping build anticipation for the summer, lets take another detailed look at the Black/Bright Citrus-Fusion Pink Air Jordan 5 Retro GS. 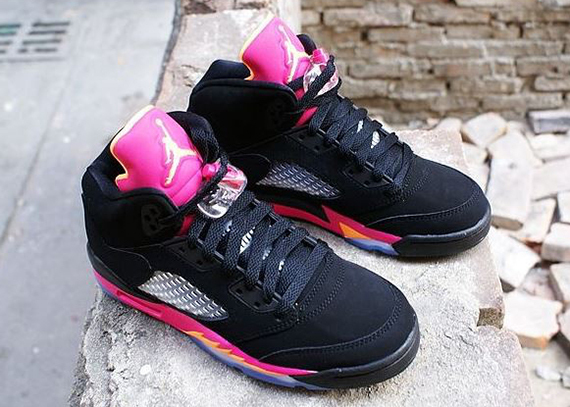 Reminiscent of the Miami Heat's "Floridians" Hardwood Classics uniform colors, the Air Jordan 5 Retro GS arrives in a tropical black-based look. 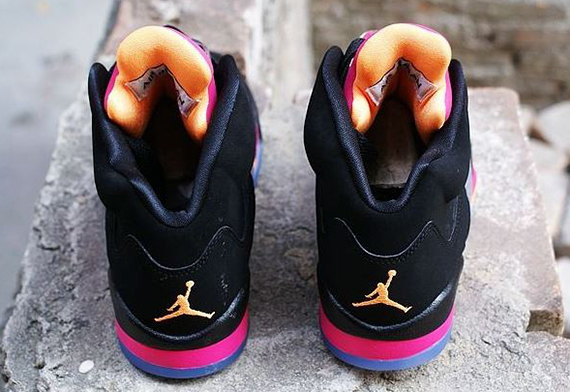 The traditional black durabuck upper works together with fusion pink over the tongue and midsole, while total orange hits the Jumpman logos and iconic midsole teeth. 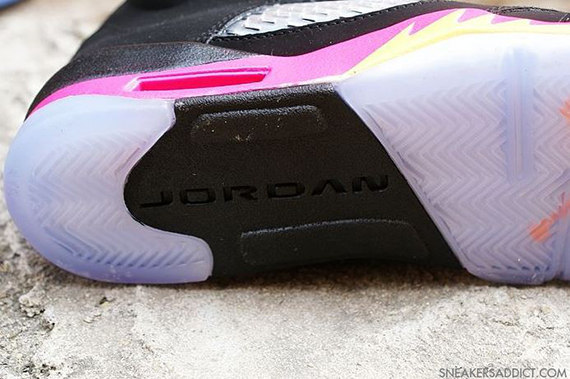 A translucent outsole finishes off the clean look for the ladies down below. 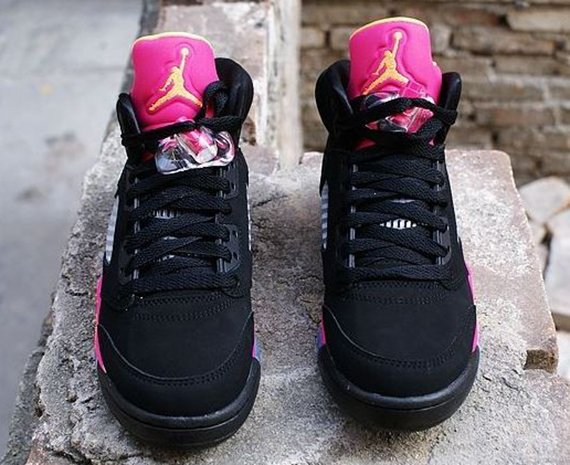 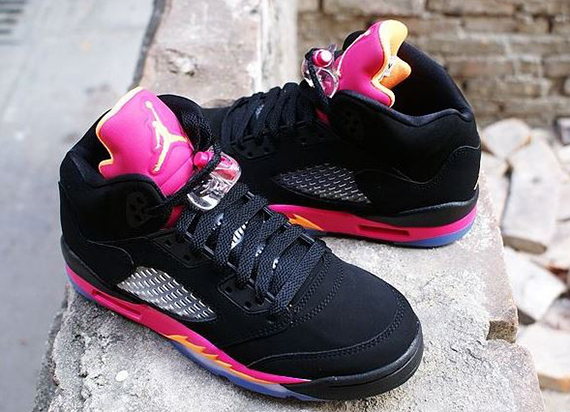 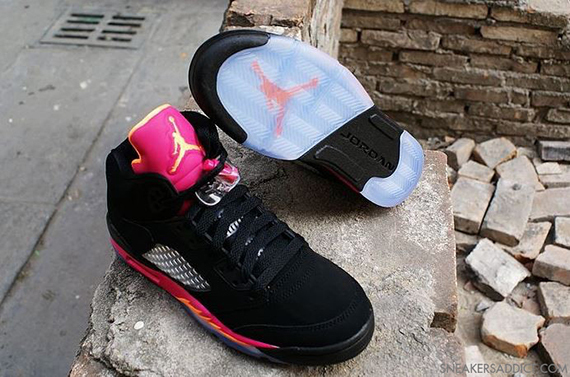 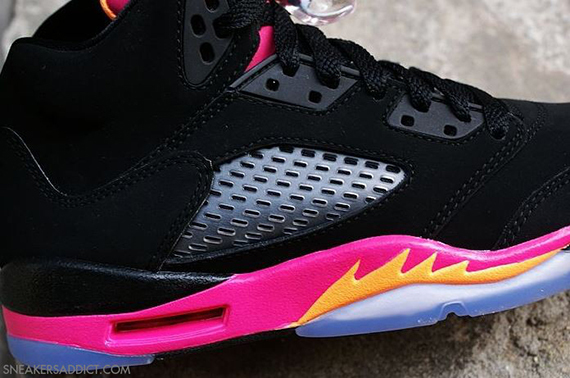 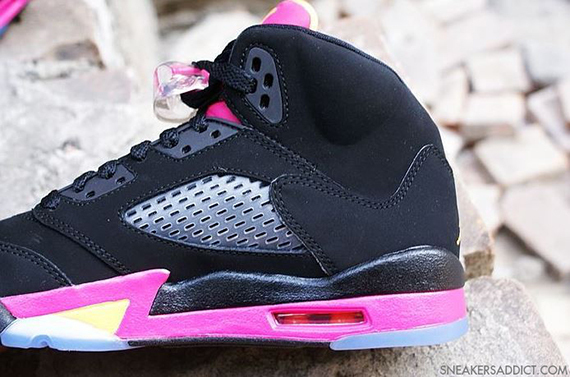 The Black/Bright Citrus-Fusion Pink Air Jordan 5 Retro GS is expected to hit authorized Jordan Brand accounts this summer.